Description: Originally commisioned in 2011, for the Channel 4 show 'Home for the Holidays.' 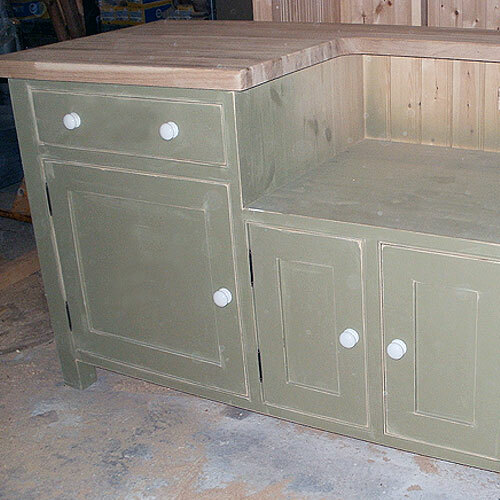 Sink unit to accommodate a standard 60cm ceramic sink with small cupboard underneath. 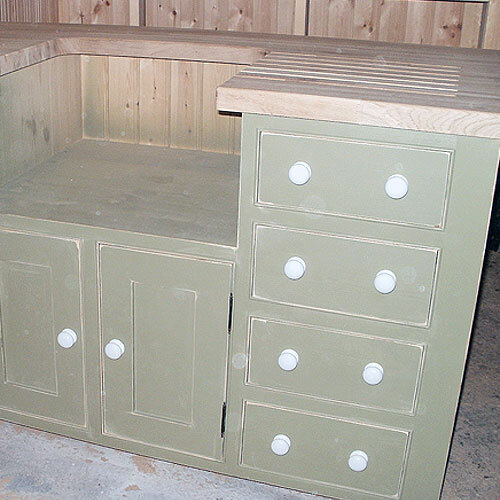 Set of 4 drawers on the right, and a cupboard with drawer above, on the left. Internal shelf inside. The range features white ceramic knobs, decorative reeding detail around the door and drawer frames and a distressed finish to the paintwork. (This is optional). 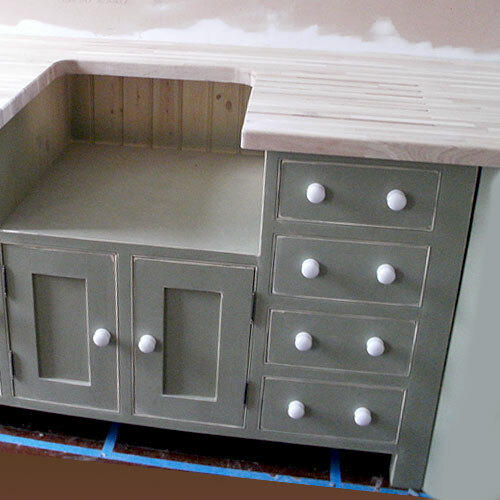 This Shabby Chic unit is topped off with a 4cm thick Solid Oak Worktop with drainage grooves cut in. 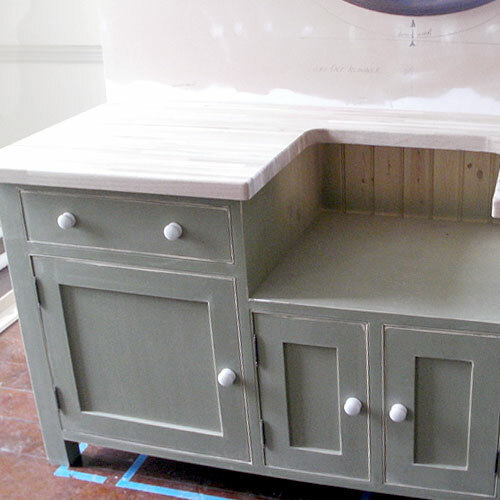 Colour shown: Farrow and Ball, Olive. Worktop left natural but will be treated with Danish Oil.